Give back a little to our Ocean City MD Community, please join us. Bring with you a pair of gloves, a couple trash bags and a friend or two and let's dig in for an hour! 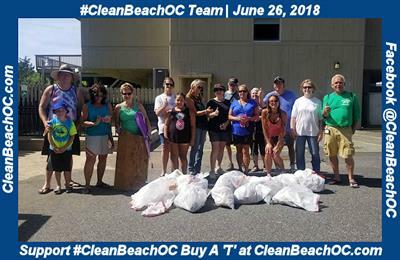 Appreciate your helping us get the word out, share this #CleanBeachOC Event with your friends & family! 2. 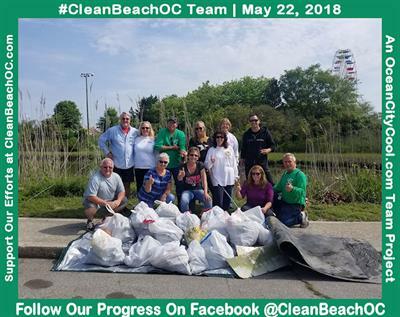 To set the example of what a community can accomplish by working together with a common goal.> Not just a clean beach, but a clean community! 3. Help our local business community learn about the advantages of using true organic products; (ie) sugar cane, hemp, single use products that are truly biodegradable. 4. Help educate consumers on the value of using truly organic products. 5. 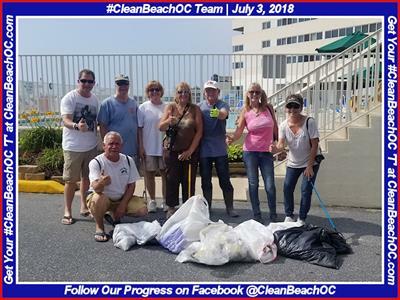 Get members of our community to Pitch In & Keep Ocean City & America Beautiful once again! 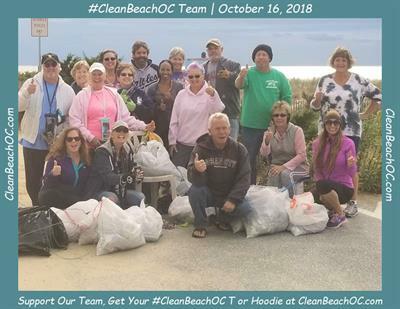 Our #CleanBeachOC Event, founded in Jan 2016, is every Tuesday at 9:00 am. 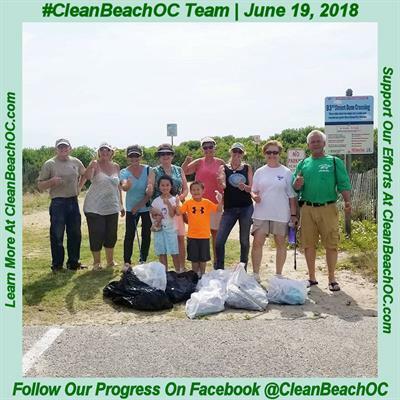 Make plans to join in while we clean up the beaches & bays of Ocean City MD! 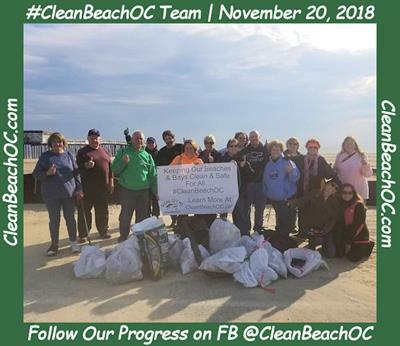 In 2017 #CleanBeachOC cleaned up over 3,800 lbs off our beach and our of our bays. In 2016 #CleanBeachOC cleaned up over 2,200 lbs off our beach and out of our bays. We couldn't do it without your help & support. 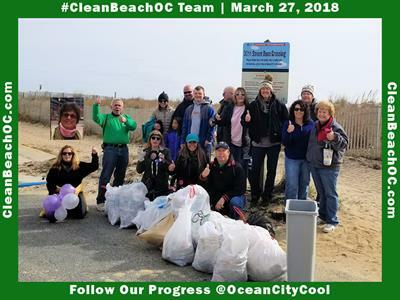 an OceanCityCool.com projectJoin us for our first #CleanBeachOC of 2019 on Tuesday, January 1st, New Year's Day, on the beach at 46th Street, from 9:00 - 10:00 am. 3. Help our local business community learn about the advantages of using true organic products; (ie) sugar cane, hemp, single-use products that are truly biodegradable. Every Tuesday at 9:00 - 10:00 am all year long!